I like them both! But I think I’m partial to the dark red. 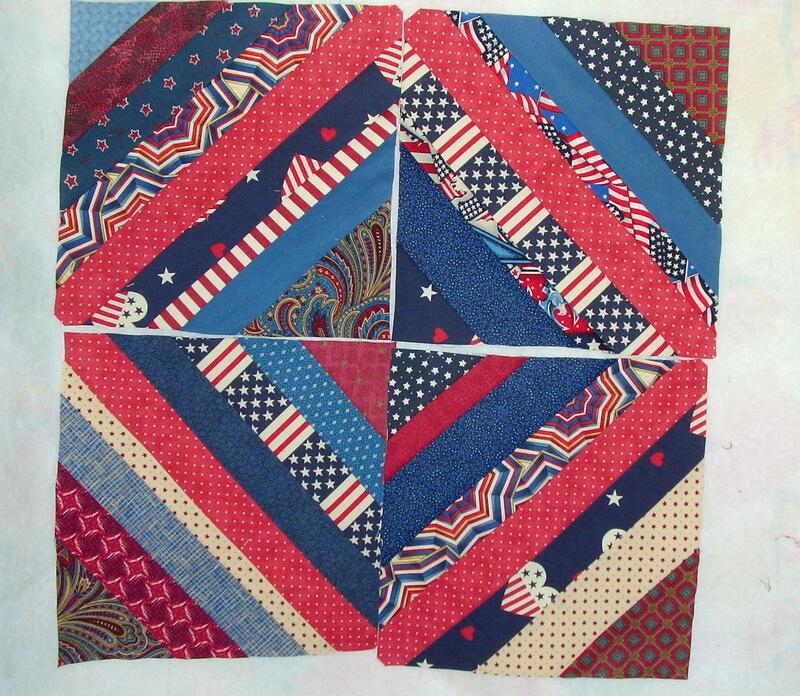 String quilts are so cool! both are great, those strings multiply at night!!! I like them both. It’s amazing how many quilts can be made from scraps. The scrap bin just seem to reduce no matter how many quilts you make. very nice. I am sure that they are deeply appreciated when recieved as a gift too. Definitely a patriotic look. Well done. I know what you mean about the pile growing instead of decreasing. The scrap basket never seems to empty. I am with you: wouldn’t be able to decide on the Red either. Both look great. 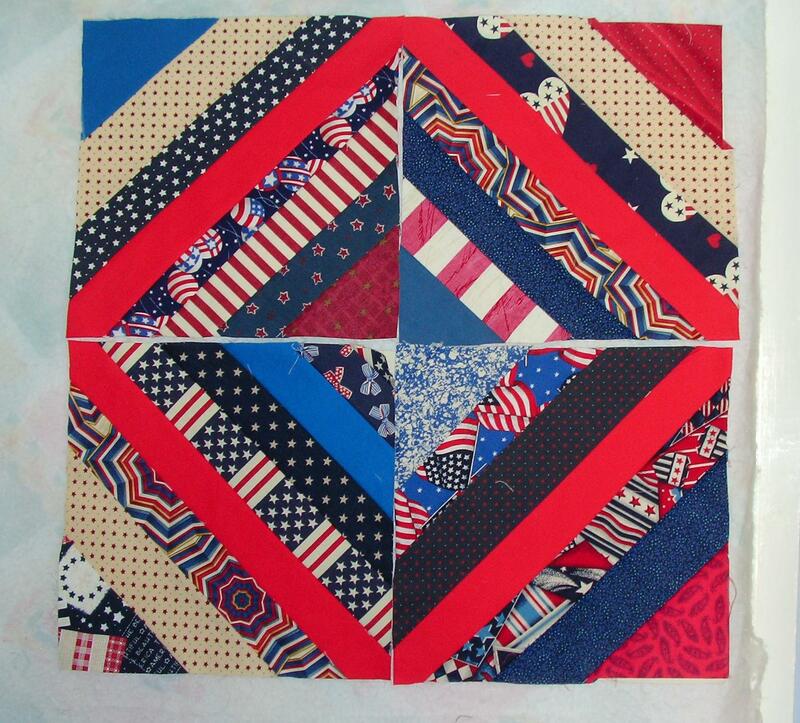 So far I haven’ made a string quilt myself, but will soon! Thanks for reminding me!